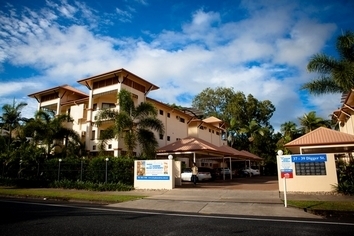 Cairns is commonly known as the tropical gateway to Australia's north. Out across protected waters lies the world's greatest coral reef. Inland, the cool green wall of the Atherton Tablelands, and north, the World Heritage listed Daintree National Park. 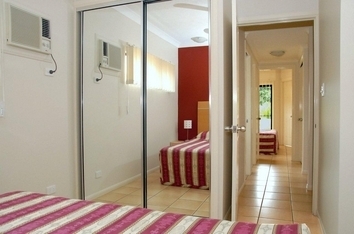 City Plaza is a relatively new property located a 20-minute walk from the city. 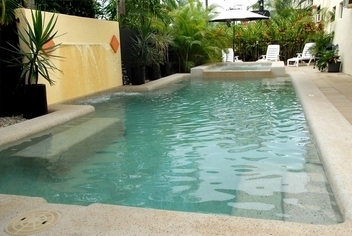 This property is ideal for families and offers lovely large balconies to capture the breezes and enjoy the tropical climate. 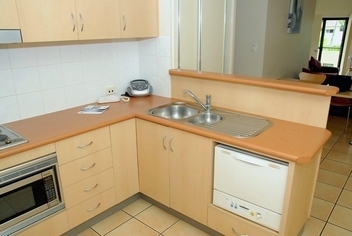 All apartments are well equipped with a gourmet kitchen, laundry and very large living areas. 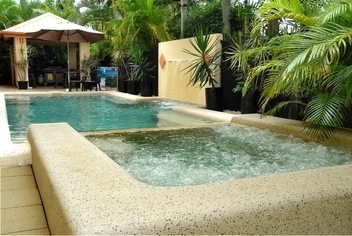 There is a swimming pool and spa as well as barbecue. 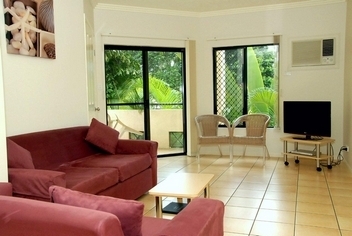 City Plaza Apartments offers an excellent base from which to explore all Cairns has to offer. 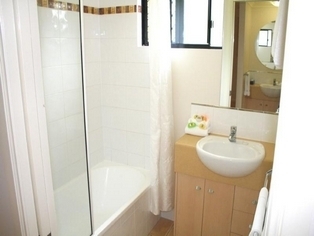 80sq mtr Fully self contained Apartment. K&Q beds or Q&2Sgl beds-please specify. 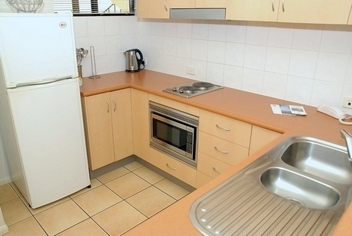 Full lounge and dining area, balcony, laundry, full kitchen with fridgefreezer, microwave, dishwasher, bath, seperate toilet. Early or Late check in by prior arrangment. Office hours Mon-Sat 8am-6pm/Sun 9am-12MD please contact property at time of booking for Check In outside these hours. 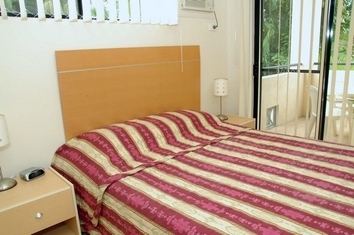 Expected time of Arrival and bedding configuration for 2 bedroom apartment MUST be confirmed at time of booking. 2 bedroom apartment Rates are for 4. Maximum occupancy is 5. Extra guest aged 3 & over is $30 per night on a rollaway bed or children under 3 years of age sleep free of charge using existing bedding. Bedding configuration is 1 king bed and 1 queen bed. King can seperate to 2 singles. Please specify at the time of booking. Bedding configuration may not be changed upon arrival. Off street undercover parking available. 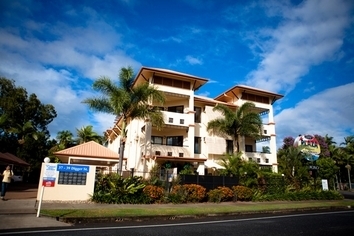 City Plaza is 8-10 mins drive South from Cairns Airport. Taxi cost is approx $12 - $15. Shuttle bus available at Airport $10 per person. Take a stroll only 2 streets and find yourself on the North end of The Esplanade. Head South and and you'll end up in the CBD. 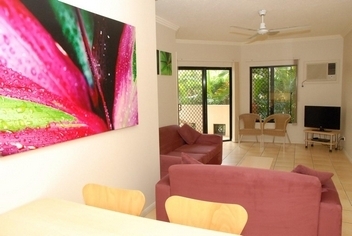 Take a day trip to beautiful Paronella Park or day out on the Reef. Cairns Night Markets offer something different for everyone.